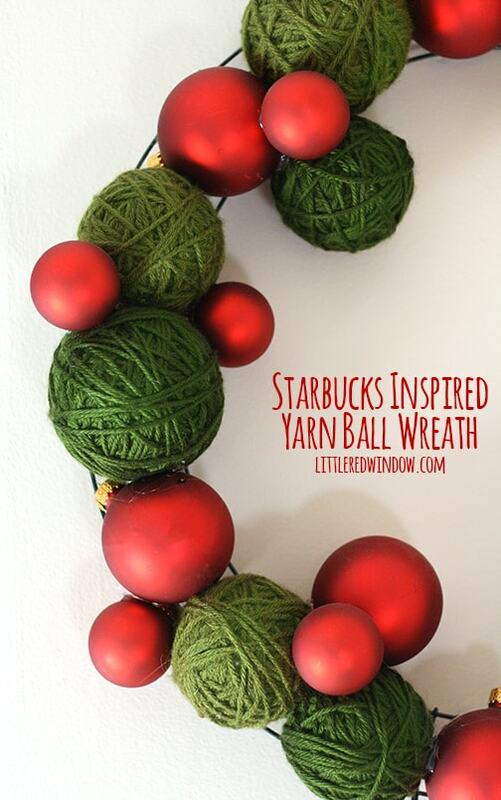 My Starbucks Inspired Yarn Ball Wreath is one of my favorite holiday projects ever! I would say generally speaking, I am in the camp of people who get annoyed when businesses decorate for Christmas too early. But a few years ago, I went into a Starbucks, saw the decorations they had up that year and immediately started plotting. 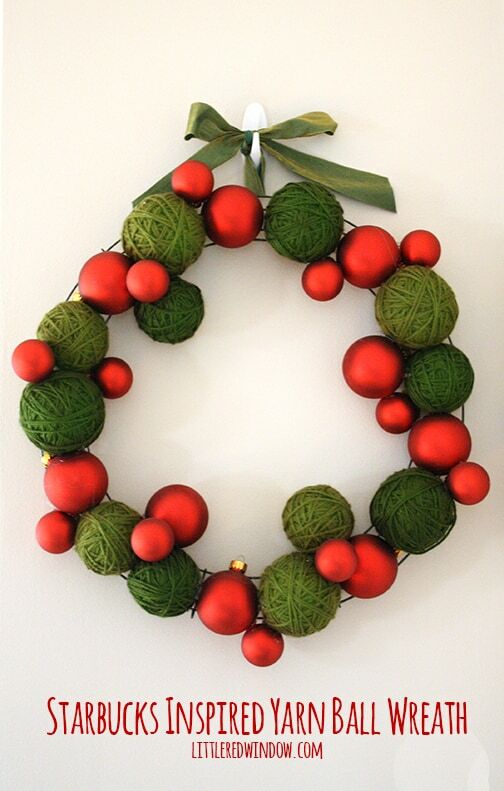 Every store had these gorgeous yarn ball wreaths that were made of red glass ornaments and green balls of yarn. I loved the juxtaposition of textures (architecture degree alert!) I loved the colors, I loved the yarn (because I’m a knitter). I contemplated stalking the manager to see if I could have one after the holiday season was over but I couldn’t wait. So as soon as was humanly possible, I made a trip to my local craft store, gathered my supplies and got to work. 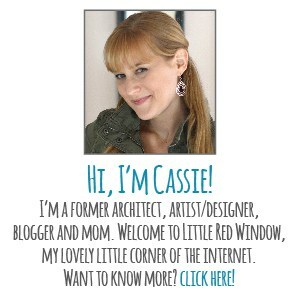 And I already had the glue gun. 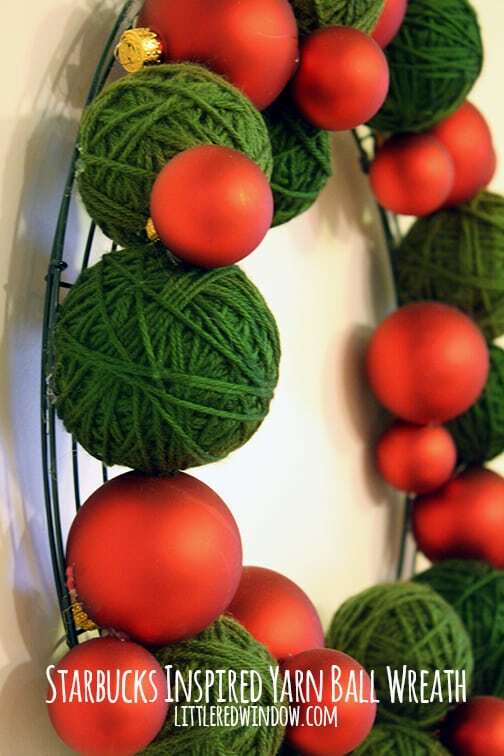 The first step was to wrap the styrofoam spheres with the yarn. 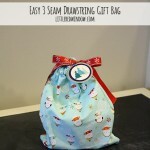 Make sure to wind it in different directions and use enough so that there are no gaps. 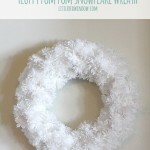 Next I got to work with my glue gun evenly spacing the ornaments and yarn balls around the wreath. It took a little pre-planning to get it to look fairly even but all things considered this was a very easy project. 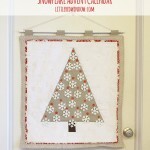 I added a ribbon for hanging and I was done!